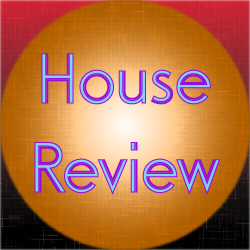 This review covers the progressive house track Martin Garrix & MOTi – Virus (How About Now). This track has an interesting structure. It’s almost as if it was basically two track: Virus, and How About Now, mashed together. While both sections have their own section, they are also very carefully overlapping nicely at times as if it was a mashup of some kind. There was an interesting melody on the first part of the track after the initial breakdown. It made the track somewhat catchy. I’m not too sure about the voice sample though. Still, the use of sliding notes was a nice choice as it gave the track an interesting sound. The first half of the track also featured an interesting intro that was repeated part way through. It was a nice addition. The second part of the track features some nice vocals. I’m not entirely sure if it fit perfectly with the electro house elements put into the track, but they were certainly nice to hear. Overall, this was a pretty good track to listen to. It had a nice progressive melody and some great vocals. It is certainly worth the listen.